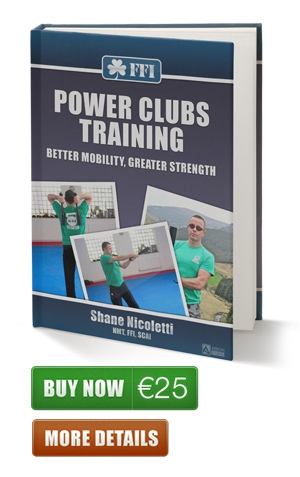 This 2 day strength & conditioning FFI™ power clubs course is designed to show S&C, Fitness or Camogie / Hurling coaches how to teach FFI™ Power Clubs movements to their teams and athletes, in a safe and effective manner. This course will also show Fitness Professionals how to teach FFI™ power clubs movements to the general public in a safe and effective manner. This course will focus on technical and instructional skills for the FFI™power clubs movements. FFI™ Power clubs techniques focus on high tension, strength, power production, mobility, stability, endurance and relaxation. FFI™ methods also focus on corrective exercise and quality of movement. The course will be taught by skilled FFI™ Power Club tutors. Information on online marketing, advertising, self promotion etc. All fees must be paid in full before the course begins. We have no credit card facility at the venue. Participants may take this course as a workshop only and forgo testing. Participants wishing to receive certification will have to partake in written and practical exams. 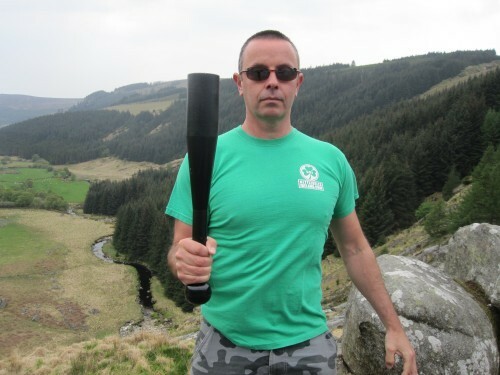 Participants should be Camogie / Hurling coaches or hold valid teaching credentials recognised by FFI™ eg: FFI Kettlebell or Olympic weightlifting S&C qualification, NCEF, ITEC, NQEHS or equivalent, be free from injury and be suitable for vigorous testing. There will be written and practical exams. Participants will be required to wear suitable clothing and footwear. Flat soled runners ideally, eg. Converse or similar. Bring a few changes of clothing and drinking water. On the second day of the course, participants will be tested in power clubs techniques and over the weekend will be tested on instructional skills and course material. There will also be a final video exam. Participants will be required to upload an 8-10 minutes maximum, private youtube HD video, then send it to FFI™ for viewing and assessment. Details of the video content will be discussed at the course. The video should be completed within 2-6 months of your course date. If the video is suitable and the student has met all requirements, the video may be posted publicly. Participants will complete 4 separate one to one case studies. Each case study should consist of 6 x sessions per case study, over a 6 week period. All sessions to be documented and to include a Par Q for each client.